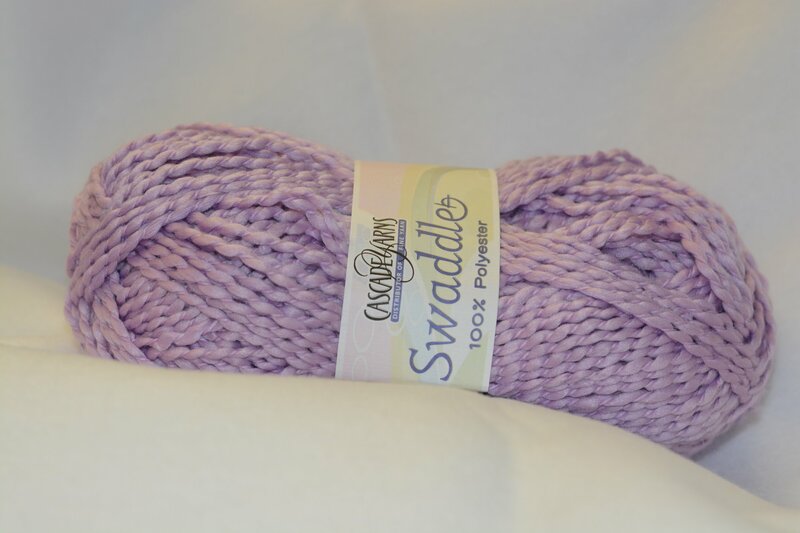 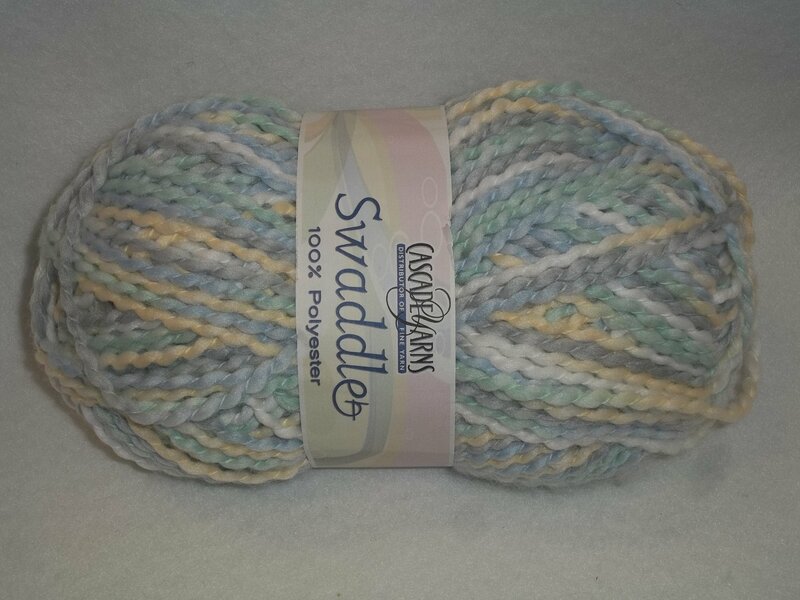 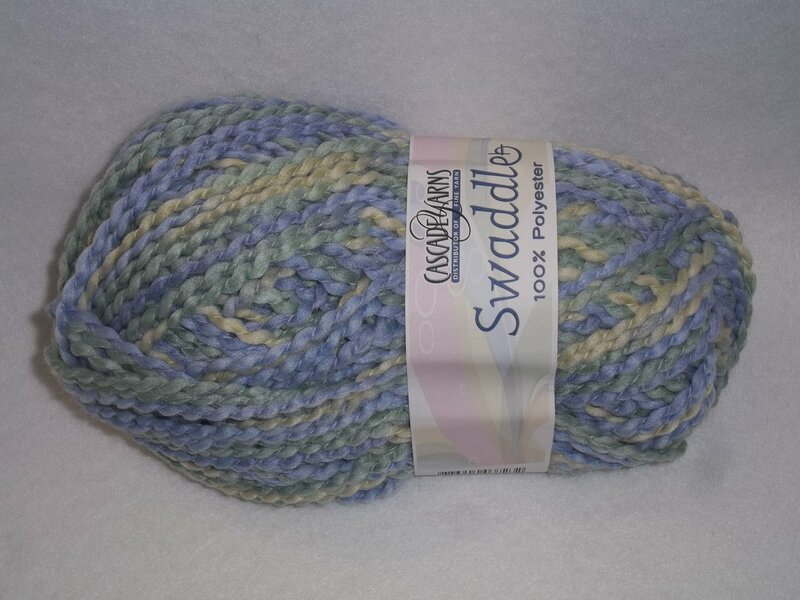 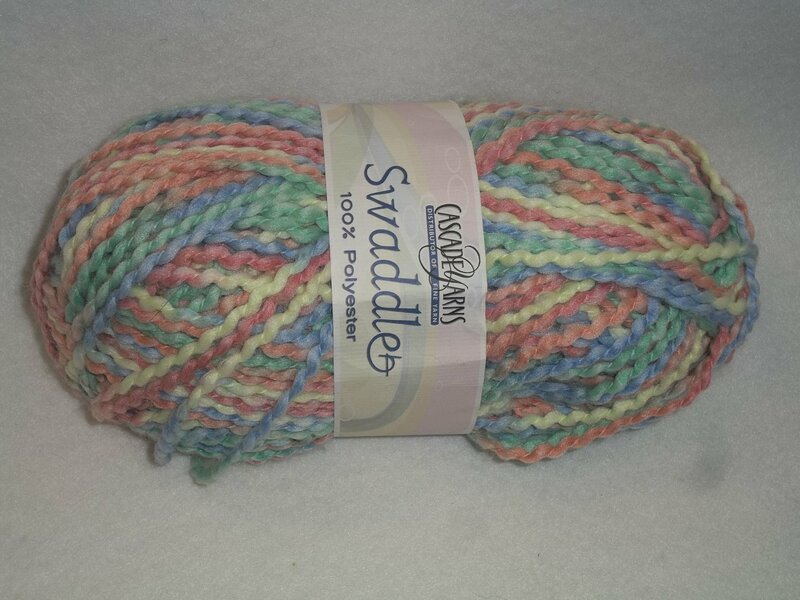 Swaddle is a 100% polyester yarn of chunky weight. 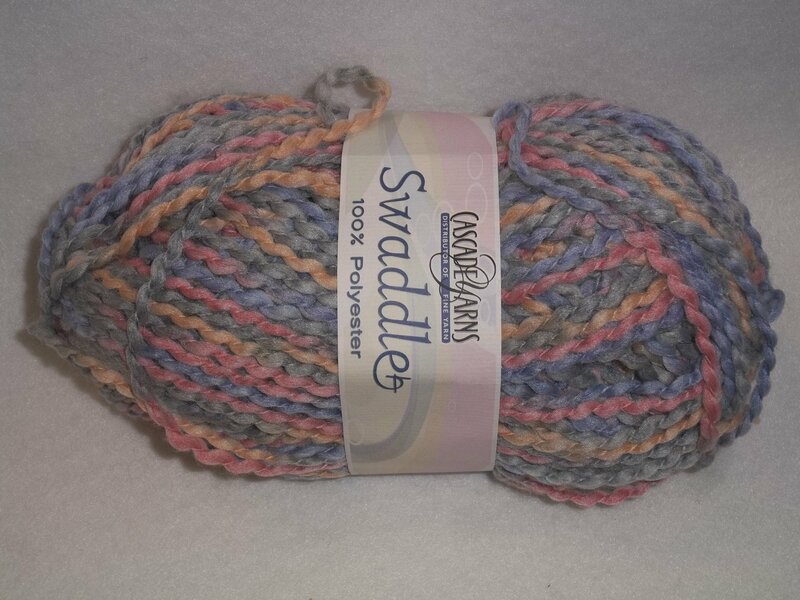 Packaged in 200 gram skeins (7 oz.) 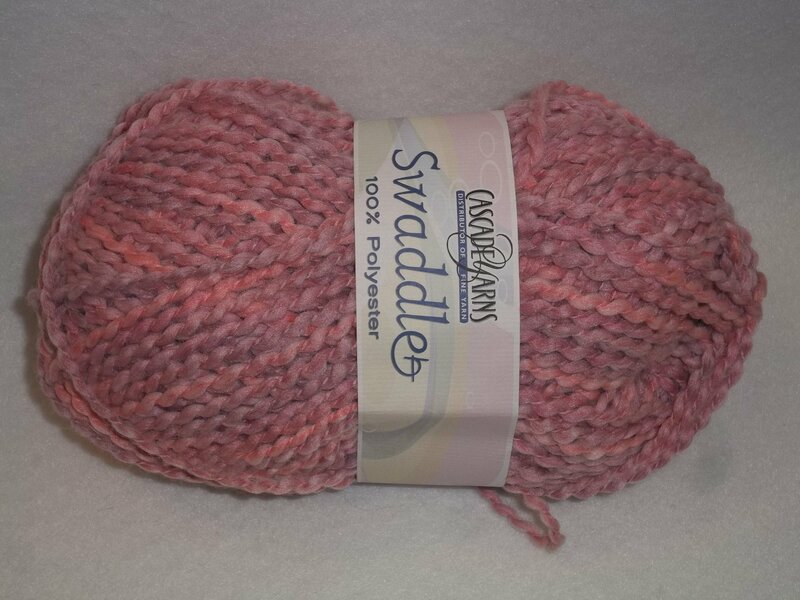 with 197 yds., each skein knits a 10-14 stitches per 4 inches on a US 10-13 (6.00-9.00) needle. 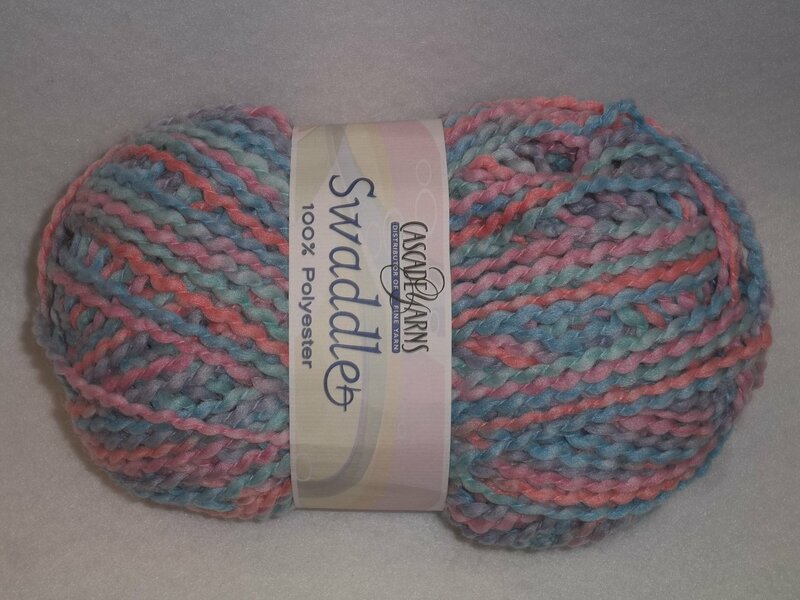 Machine washable (cold recommended) and dryable (low heat).